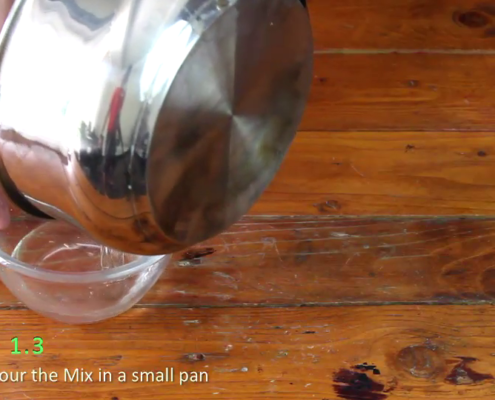 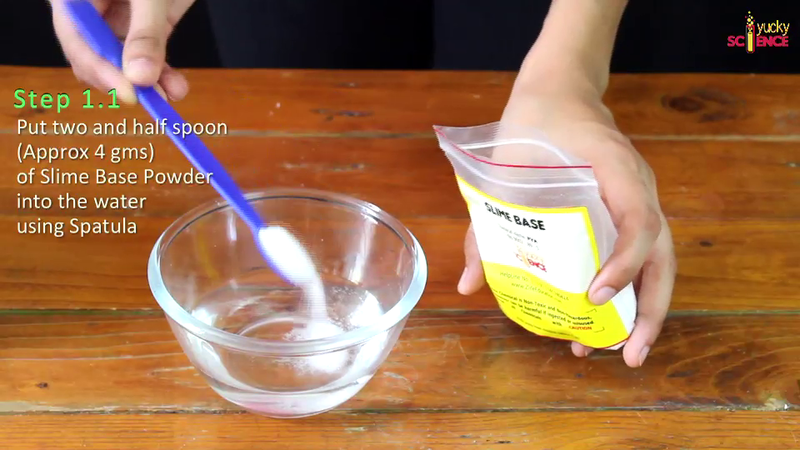 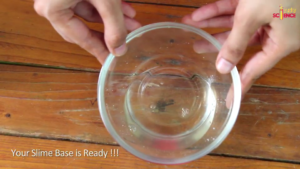 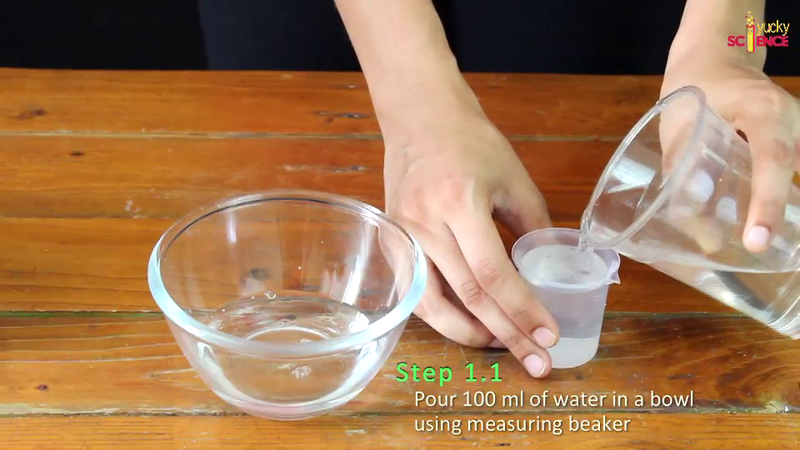 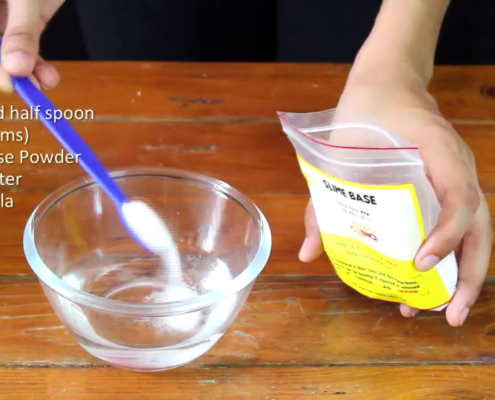 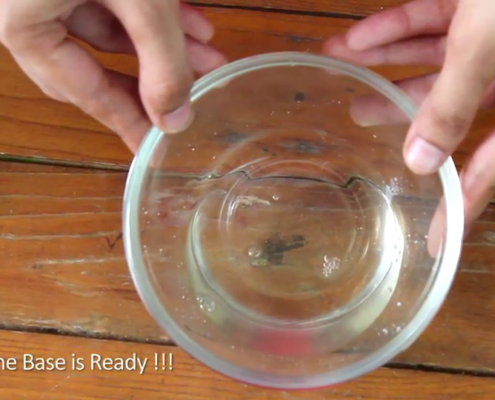 Pour 100 ml tap water in a mixing bowl using measuring beaker. 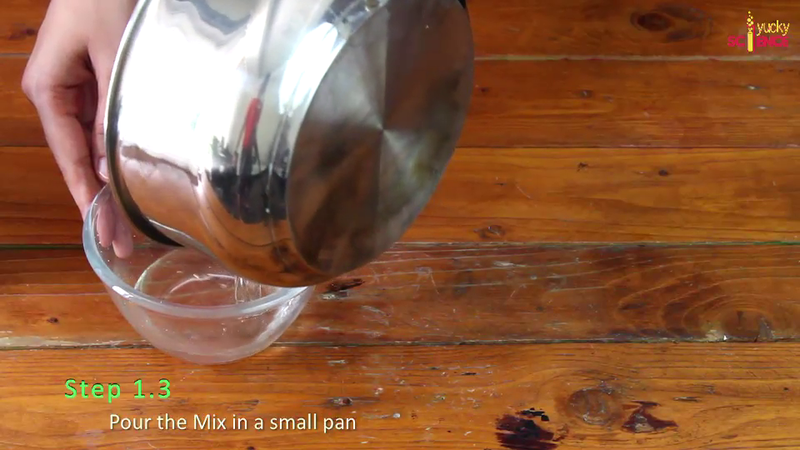 Put 4 gms (2 1/2 levelled spatula soon ) of PVA powder in the mixing bowl. 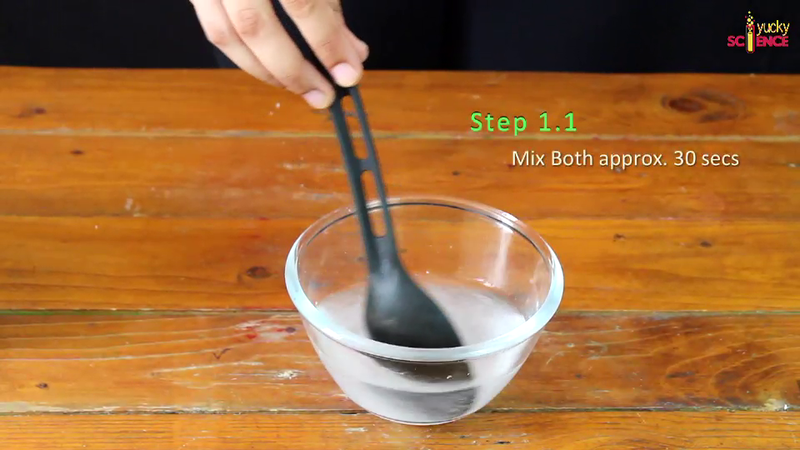 Mix them approximately 30 seconds. 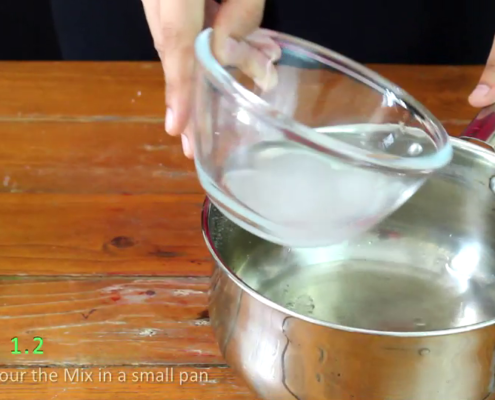 Pour the mix on a small pan. 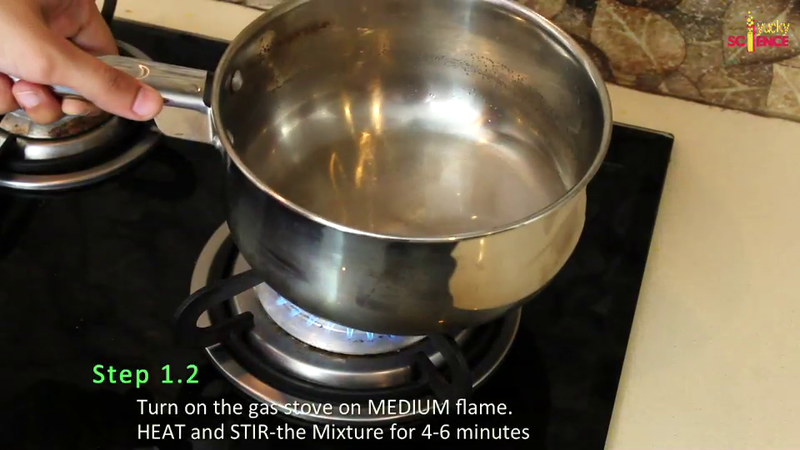 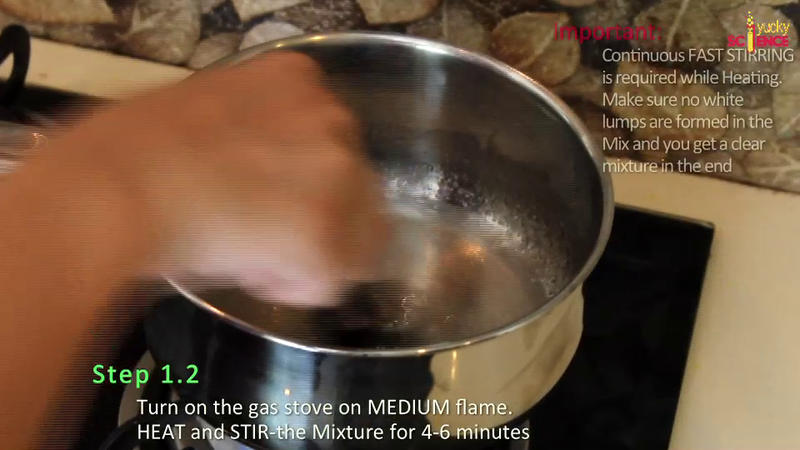 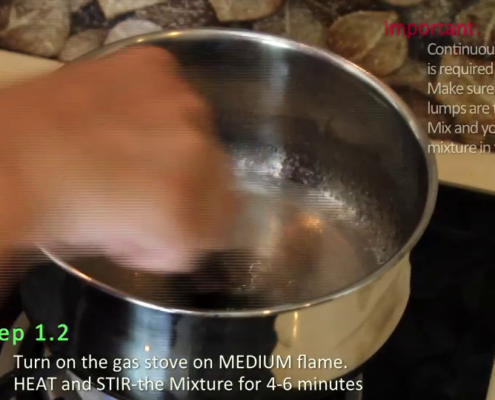 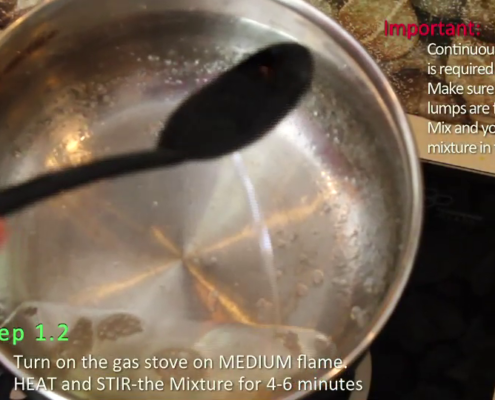 Heat the mix over a stove, medium flame for 4-6 minutes and keep stirring constantly fast and hard. 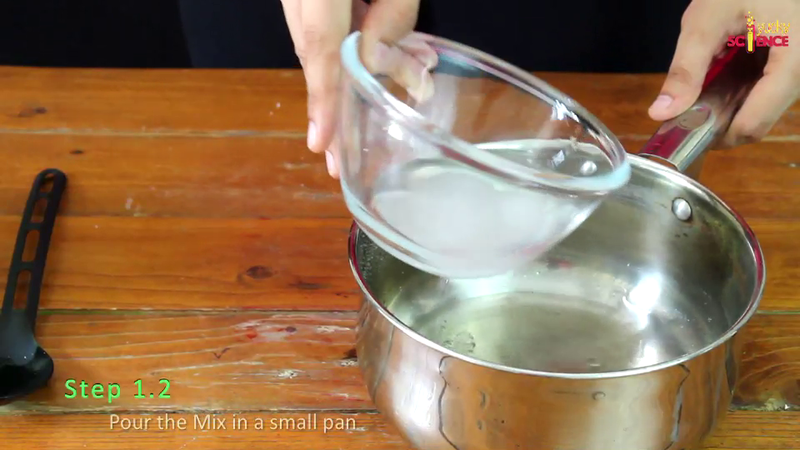 Pour the mix in a small pan. 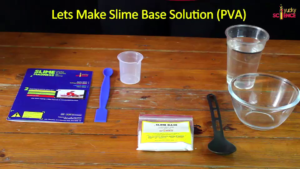 Your Slime Base is Ready ! 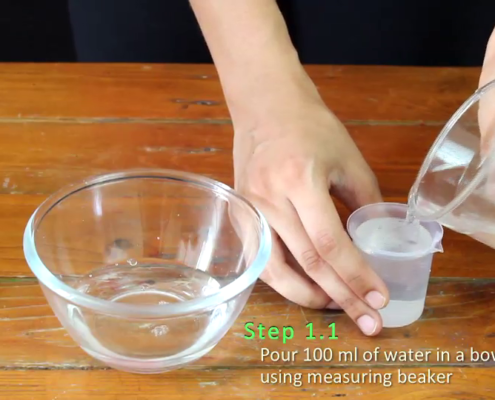 Use measuring beaker from kit to calculate the volume of water. 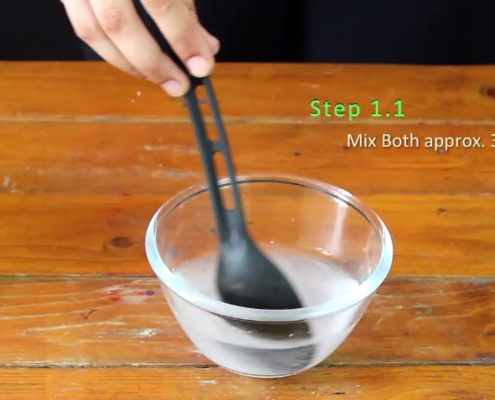 Use 2 1/2 levelled spatula spoon from kit for approx 4gms of PVA powder. 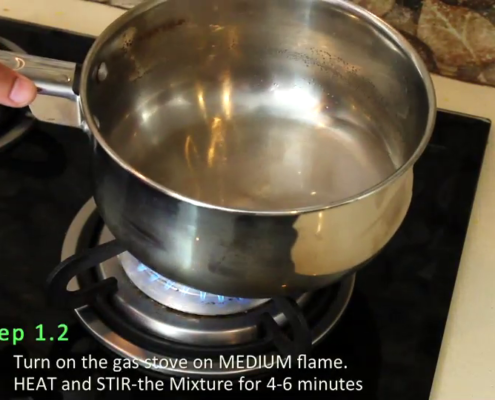 PVA powder does not dissolve easily in water – hence you need to constantly stir hard and fast while heating on the gas stove without any breaks. 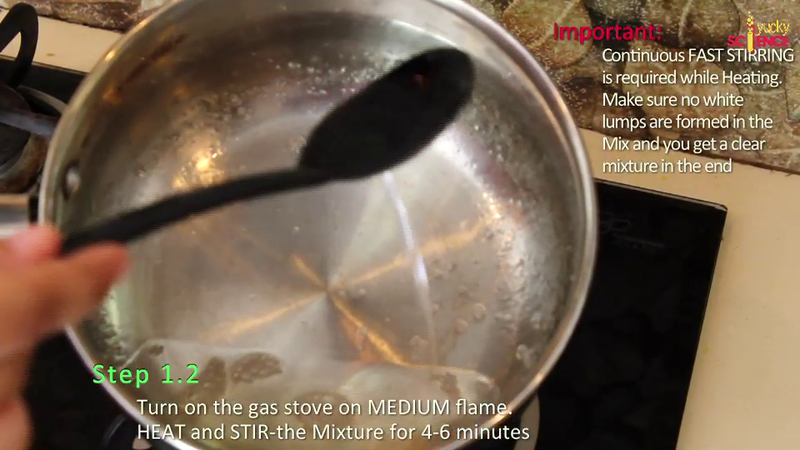 Don’t let any white lumps getting formed on the base and dont use a microwave. 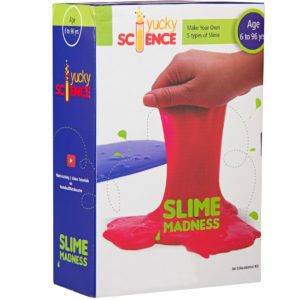 Don’t Eat your Slime or any other Experiment.